The Museum für Kunst und Gewerbe (Arts and Crafts) in Hamburg, Germany opened the design-focused exhibition (via Google Translate) this weekend, with plans to run it until Jan. 15, 2012, as noted by TUAW. Entitled "Stylectrical: On Electro-Design That Makes History," the exhibit will examine "the complex development processes of industrial electrical design in a cultural studies context." More than half of the museum's 300 exhibits during the show are Apple products, tracing the in-house development design of the company. Fittingly enough, the museum has commissioned an iOS app that will lead visitors through the exhibition. The exhibition will also feature works by former Braun design lead Dieter Rams, who has influenced the design theories of Ive and Jobs. For Rams, the respect is mutual, as the renowned designer said in a 2009 documentary that Apple is the only company designing products according to his ten principles of "good design." Other designers featured during the exhibition include Herbert Hirche, Hans Gugelot, Peter Raacke, Michele De Lucchi, Hadi Teherani and Tobias Grau. This isn't the first time that the company's designs have been featured in museums, as Apple products have made their way into a number of permanent collections around the globe, including MOMA in New York and the Pompidou in Paris. It is, however, reportedly the first time that all of the products developed under Ive's supervision have been showcased together. Ive has served as Senior Vice President of Industrial Design at Apple, working together with former CEO Steve Jobs on a number of its core products, such as the iMac, iPod, iPhone and iPad. 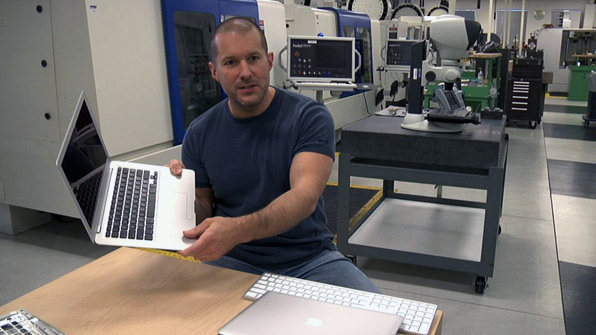 He joined Apple in 1996 and has served in his current capacity since Jobs returned to the company in 1997. According to a recent report, Jobs and Ives are listed as inventors on more than 200 of Apple's patents. Ive has been rewarded handsomely for his design work at Apple, as he is said to be worth more than $128 million. 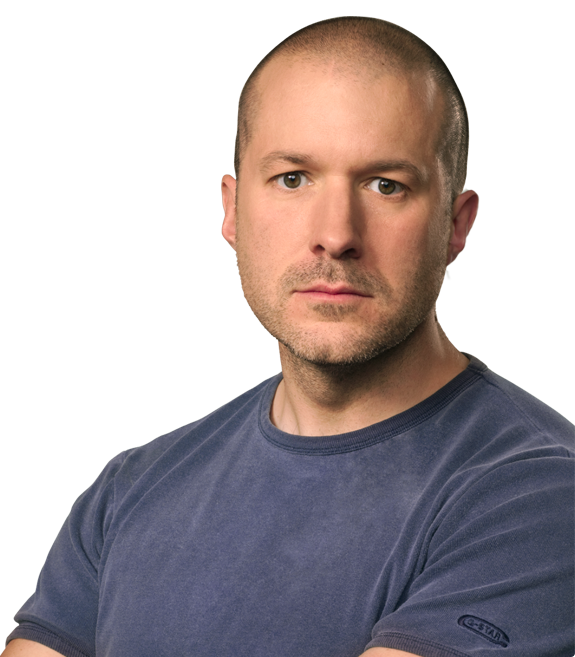 In February, rumors surfaced that he was considering leaving Apple to move back to the U.K. A 44-year-old native of London, Ive studied Industrial Design at Newcastle Polytechnic, now called Northumbria University. However, such a move would be a blow to the company, which is in transition after Jobs resigned as CEO on Wednesday. Though Wall Street and investors have taken a liking to Tim Cook, he is viewed mainly as an gifted operations leader. Analysts have said they expect Cook to lean heavily on Ive to continue Apple's winning track record in design as Jobs shifts to the Chairman of the Board role. In 2009, Ive was named the smartest designer in tech by Forbes Magazine. 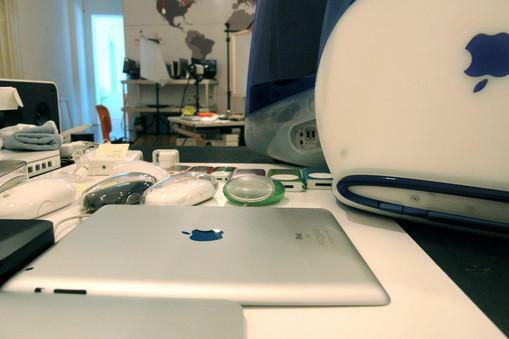 "With the launch of his first product, the iMac G3, Ive turned the utilitarian gray desktop computer into a translucent, gumdrop-shaped fashion statement," the publication wrote. He was also named Designer of the Year by the Design Museum London in 2003 and awarded the title Royal Designer for Industry by The Royal Society of Arts, as noted by Apple in his executive bio on the company's website.